7/8/15 Gardener’s World. The Lost Gardens of Heligan…the Lost Gardens of Baron Hill. Catching up with last weeks Gardener’s World in which they featured the Lost Gardens of Heligan in Cornwall (which went straight onto my ‘Must see!’ list) I was reminded of a trip to Anglesey I took a couple of years ago. 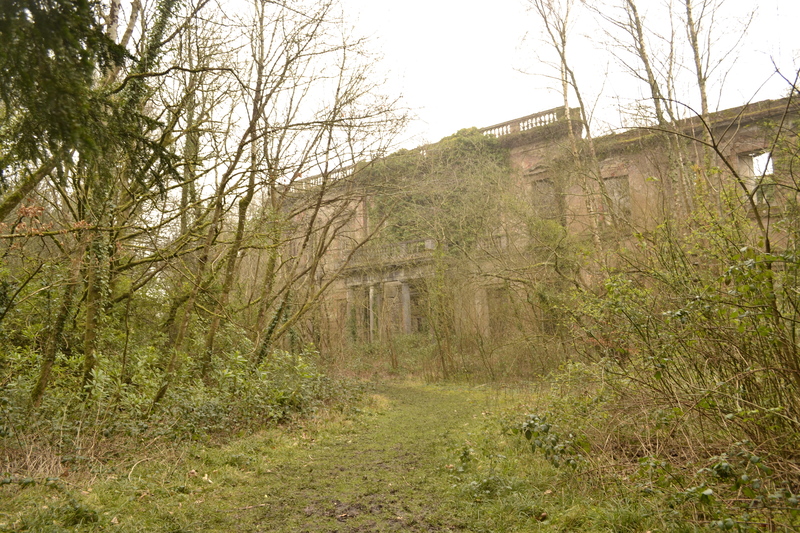 Hidden away in Beaumaris I got to explore what remained of Baron Hill Estate. As the story so regularly goes, War spelled the ultimate demise of both these once grand and splendorous estates of Heligan and Baron Hill. The difference here however that fortunately for Heligan, thanks to a devastating hurricane that hit in 1990 which should have finally consigned it to the history books, parts of the garden which had been lost were revealed and captured the imagination of Sir Tim Smit KBE who set about restoring the gardens to their former glory. Baron Hill unfortunately has not been so lucky as of yet. On entering Beaumaris it is as though you are entering a forgotten forest. Tall trees and wild shrubs loom over the road and old stone wall’s running closely down the sides. The dark stone walls grow high and suddenly a small bridge appears and quickly fades away in the rear-view mirror before you’ve registered you passed under it. On parking the car in town we walked back up the road. The bridge is in fact what appears to remain of the once grand drive of the Baron Hill Estate. 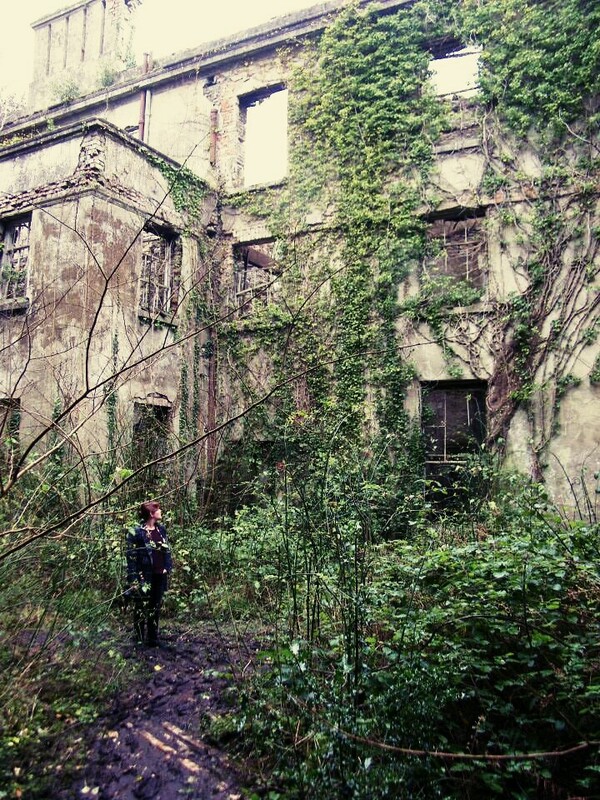 During WWII it is said Polish soldiers who were unhappy with the freezing conditions of the mansion began a fire which ripped through the building leaving only the shell remaining. Hints of the grandness and beauty of the rooms are held within the many built in fireplaces and occasional plaster work which clings defiantly to the inside walls. Nature, as is natures way, has reclaimed the surrounding gardens and has long been working on returning the remains of the main building back to dust. Extravagant garden structures and the skeletal remains of glasshouses are seemingly randomly dotted about steadily disappearing from the world, disconnected from their purpose and place in the long lost design of the grounds. The once grandiose frontage has taken on a new beauty, one which has suffered greatly yet stood her ground and grown old as gracefully as would be expected. One can only hold out hope Baron Hill will be saved one day soon. Had I of won the lottery, buying a ticket after my visit, I’d certainly of endeavoured to. Alas I am still here scrimping and scraping and dreaming.